Mardi Gras is the official state holiday of Louisiana, but countries around the world, such as Brazil and Italy, also celebrate it. Mardi Gras is celebrated the day before Lent begins. Lent is a Christian time of preparation during the 40 days leading up to Easter. Because the Paschal full moon determines the date of Easter, both it and the beginning of Lent varies. Although the date changes, the start of Lent always falls on a Wednesday and is called Ash Wednesday. The observance of Lent requires dietary restrictions such as abstinence from meat, eggs, milk, and cheese. Historically, people observing the time of preparation would try to use up all of these restricted foods on the day before Ash Wednesday. This day became known as Fat Tuesday or Mardi Gras, the French phrase meaning Fat Tuesday. Today, people celebrate Mardi Gras with parades, parties, and masquerade balls. Parties usually include a king cake, a coffee cake containing a hidden bead. Tradition says that the person who finds the bead must host the party the following year. Pancakes are also a traditional Mardi Gras food since they use ingredients such as milk, eggs, and butter, which are all foods that Lenten observers must purge from their homes. During Mardi Gras parades, it's customary for the people on the parade floats to toss out colorful plastic beads and plastic coins, known as doubloons. Parades are organized by krewes, associations that put on a parade or ball for Mardi Gras. Use the following free printables to teach your students more about Louisiana's state holiday. 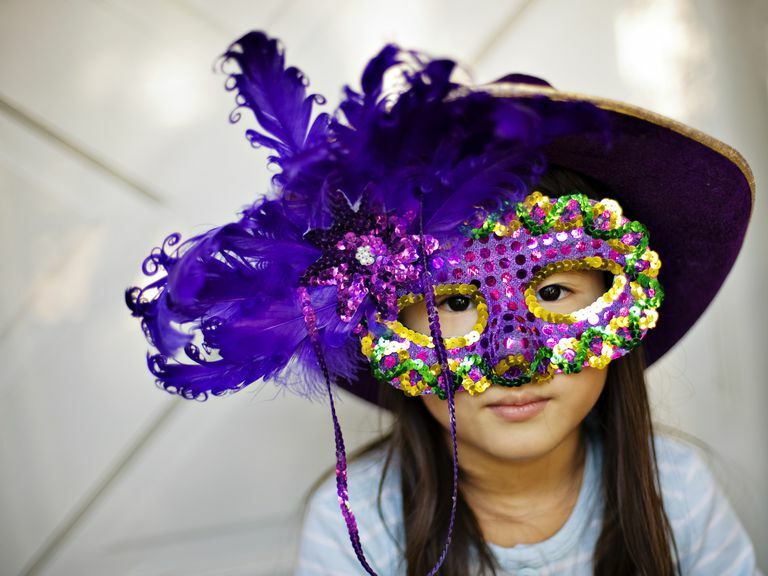 Introduce your students to Mardi Gras with this vocabulary worksheet featuring terms associated with the holiday. Do your students know what the aluminum coins given out by carnival organizations are called? Do they know what name is given to the day before Mardi Gras? Have them use the Internet or a dictionary to look up and define the Mardi Gras related words. Students can review the terms they've learned by looking for them in this Mardi Gras word search. Words like like "king cake" and "throws" can be found among the jumbled letters of the puzzle. This fun crossword puzzle allows students to continue reviewing the terms associated with Mardi Gras. Each clue describes a word associated with the celebration. Use this short multiple choice quiz to see how well your students remember what they've learned about Mardi Gras. Each description is followed by four multiple choice options. Young children can practice their alphabetizing skills by writing these Mardi Gras themed words in correct alphabetical order on the blank lines provided. Students can use these Mardi Gras themed bookmarks and pencil toppers to create an air of festivity in their home or classroom. Children should cut out the bookmarks along the solid lines. They can cut out the pencil toppers, punch holes on the tabs, and insert a pencil through the holes. For best results, print the bookmarks and pencil toppers on card stock. Print the pdf: Mardi Gras Draw and Write. 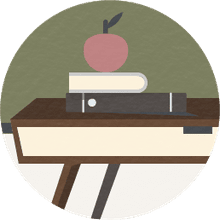 Allow students to showcase their creativity and practice their handwriting and composition skills with this activity. Children should draw a Mardi Gras related picture and use the blank lines to write about their drawing. Print the pdf: Mardi Gras Theme Paper. Children can use this colorful theme paper to write about their favorite part of Mardi Gras or to write a report showcasing what they've learned about the celebration. Introduce your children to the fact that colorful masks and headdresses are a well-known feature of the Mardi Gras celebration as they color this picture. Explain to children that parades and celebrations are a huge part of Mardi Gras as they color this picture.